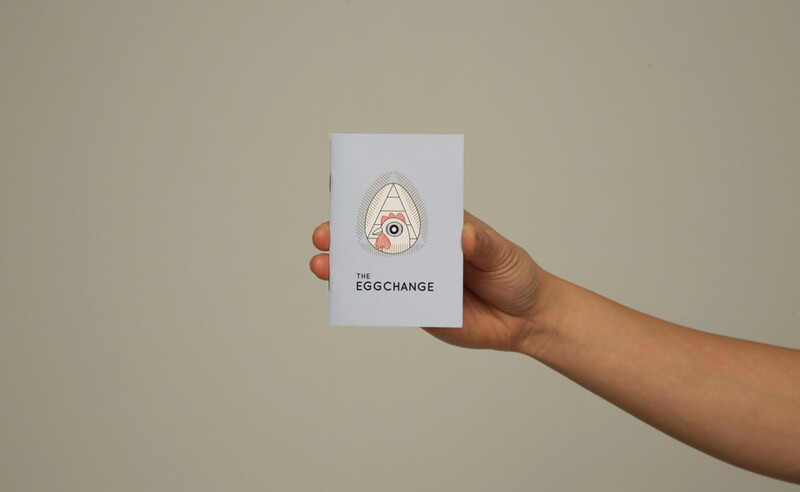 During my internship at Studio Marije Vogelzang, I was involved in her latest project, the EGGCHANGE. The goal was to build a hypothetical economic model based on eggs as currency in collaboration with poultry farmer Twan Engelen. The project was organised by Agri Meets Design which is “the platform where farmers and designers meet and collaborate on societal issues” in the Netherlands. They explore diverse questions in agriculture and match designers to work together to create the best possible outcomes without too many restrictions. Throughout the project, I was able to observe and learn the whole process of a large-scale collaborative project among farmers, designers and associations. The project was divided into several layers, with each working simultaneously and interactively. First of all, she visited her collaborator Twan Engelen at his chicken farm. Over the course of several visits, she collected data regarding the current situation in his business, his difficulties, his role in the food chain system and also his opinion of the food chain system as a whole. This lead her to gain an objective perspective and perceive a core story to tackle as a designer. I had an opportunity to visit the farm with her and another intern, and this physical experience was vastly different from what I was expecting. It was quite an overwhelming experience that each person has to take a shower every time they enter and exit the site for the reasons of hygiene and the closed immune system. In addition, there are highly detailed restrictions in order to maintain an optimized environment for a single-species farm. Our main purpose for this visit was to witness 3000 chicks arriving at the farm. 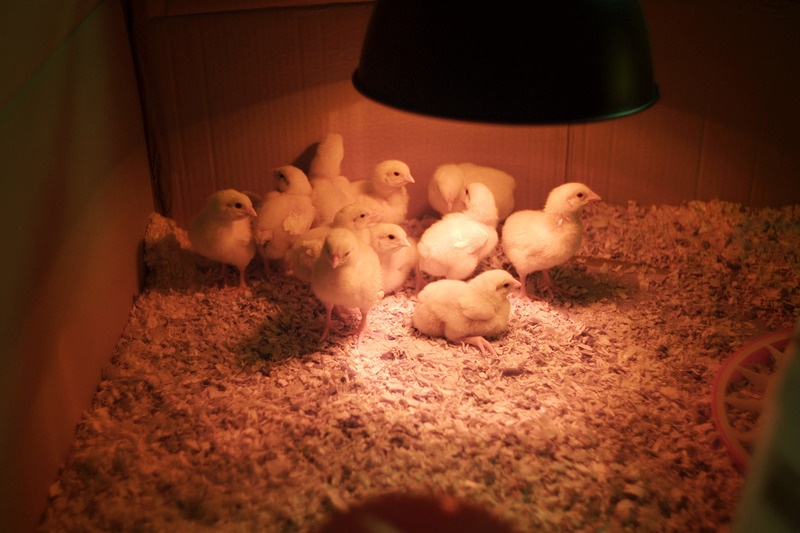 Twan’s farm is where newly-hatched chicks are raised until they are chickens of sufficient size to be sent to other poultry farms. Accordingly, once the eggs were hatched at higher level farm, the chicks are delivered as we witnessed. In fact, Mr. Engelen’s farm is a kind of hidden middle man for customers that is a relevant example how our food chain system currently works. His farm is almost perfectly organized and provides a good quality control system for animals. Despite this, the neighbors criticize him for his highly industrialized methods, which upsets him. However, from closer observation, he appears to be an innocent victim who works hard in his position in this rather distorted food chain system. After the visit, we received some fertilized eggs from him to incubate in the studio attic as a side project. 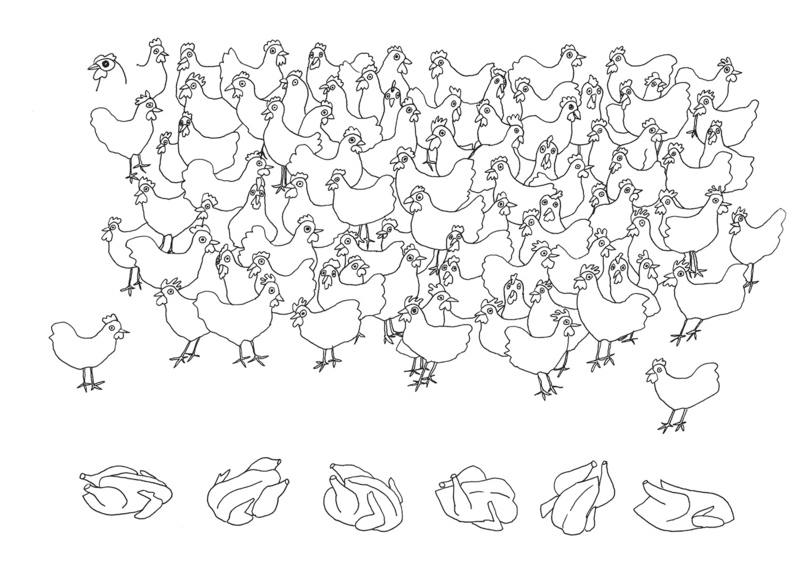 To Marije, who already had several years of experience raising chickens, it was an opportunity to observe the differences between industrial chickens and the ‘normal’ chicken breeds in her home garden. She hypothesized that the industrial chicks would grow faster than her chickens and have bigger breasts due to genetic modification. 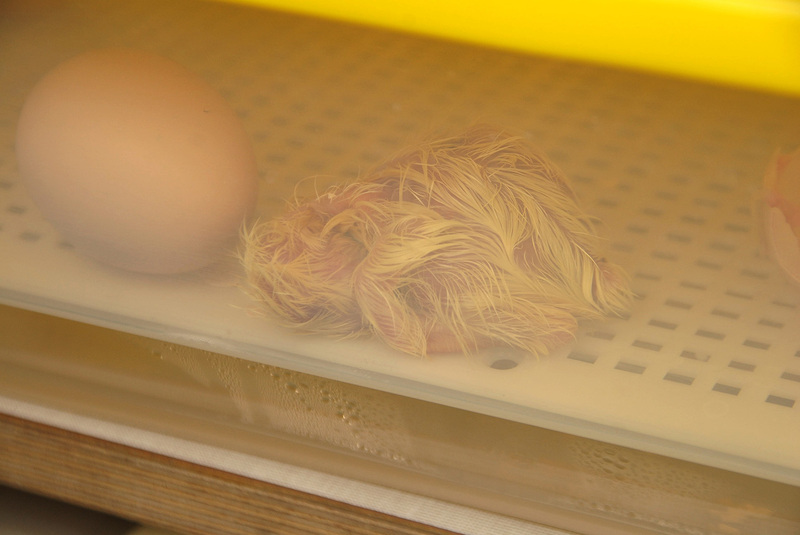 It was an entirely new experience for me, from incubating and hatching the eggs to making their home with cardboard and feeding them. 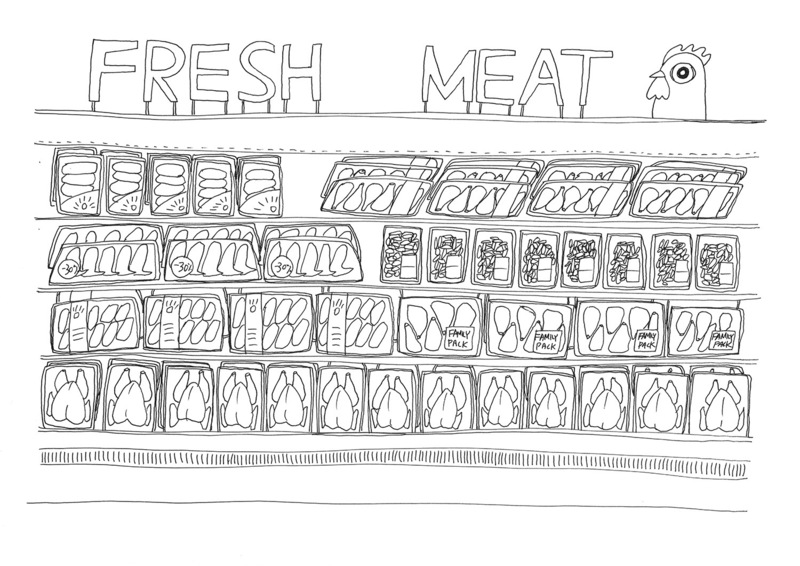 I believe this is what most consumers have lost with animals, especially the animal products laying passively on the shelves in the supermarket – the intimate connection between animal food sources and human beings. 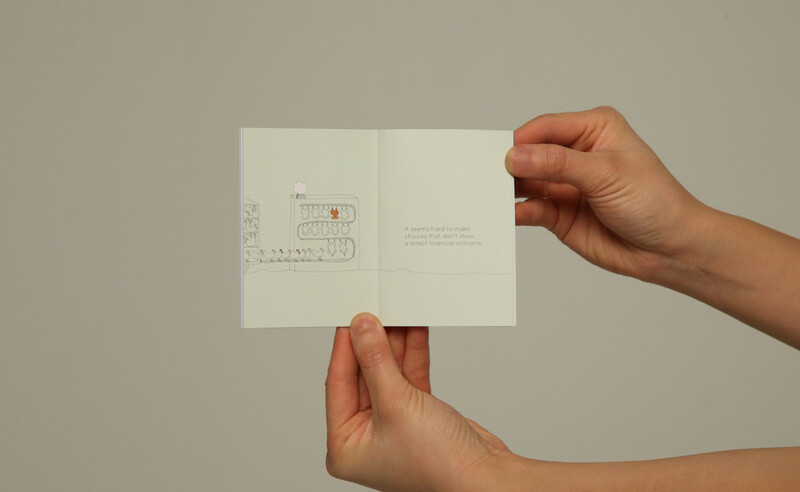 After several insightful observations, Marije developed the project to incorporate a broader sense by including the notion of the current economy. What if we could use eggs as currency? What if we could increase our own value and capital by fertilizing eggs? As a result, the EGGCHANGE has created, wherein you can exchange fertilize eggs, and decide how to use your own capital. 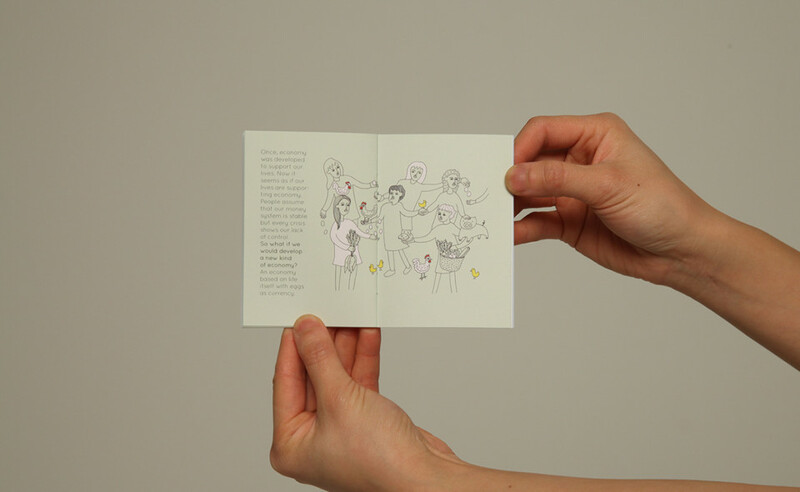 In this way, participants may rethink their views on currency and the economy with eggs, and will experience the connections with animals and food consumption as they try to raise their own capital. To clarify this concept, Marije considered diverse perspectives on the project. The consideration of the details was followed by the whole background story, connections to reality with speculative outcomes and finalizing design products. 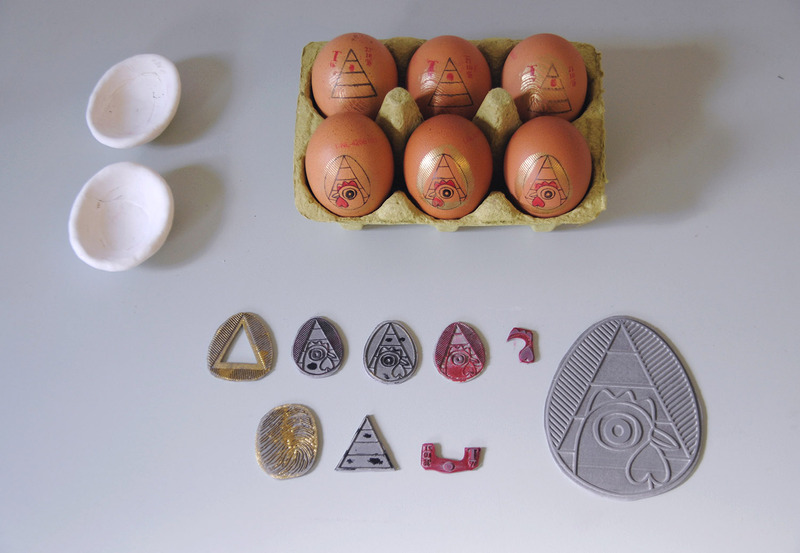 I was mainly involved in designing the EGGCHANGE logo and the stamp, as well as the story illustration for the video. Physical exhibition products were built after my internship period. 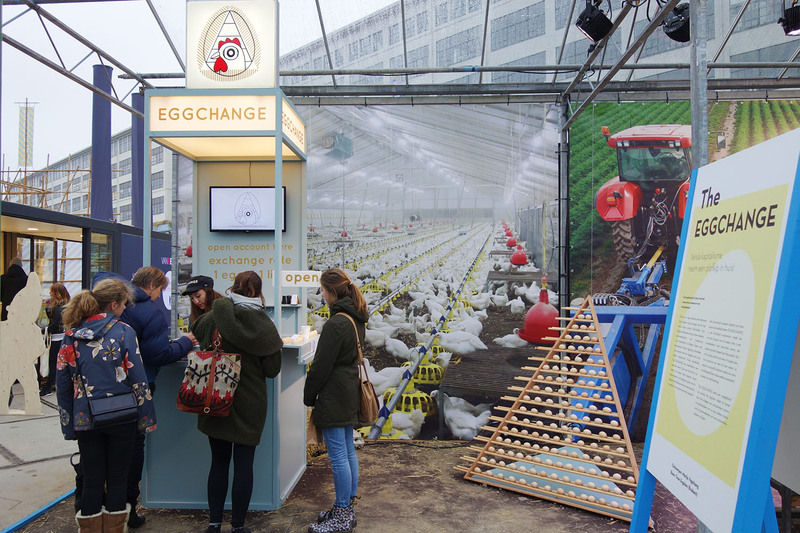 The EGGCHANGE was introduced during the 2016 Dutch Design Week, among several other projects including food waste, pig farms, dairy industry and processed meat products curated by Agri Meets Design. The most interesting and innovative result of the exhibition was that the organizer and associated designers participated in a roundtable discussion with the ministry of agriculture and the queen of the Netherlands. This is a significant advancement of design to raise awareness of current issues in cooperation with relevant professions for better changes.